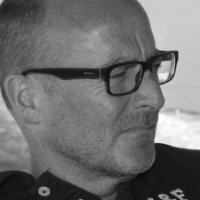 Mark was born in Weymouth and joined the Royal Marines on leaving school in 1984. 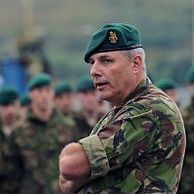 As well as gaining Bachelor’s and Master’s degrees during his 28 years’ service and achieving the rank of Colonel, he has commanded at every level from troop to Naval Task Group and served in every major theatre, including Northern Ireland, Former Yugoslavia, Iraq, Afghanistan and Somalia. Mark has extensive experience in maritime security and counter-piracy including command of a Naval Task Group operating off Somalia. He was appointed MBE in 2002 and awarded Croatia’s highest award for courage on the battlefield, the Order of Duke Domagoj, for actions performed by him whilst serving under the UN there in 1992. Nick, originally from Bath, was awarded a prestigious RAF flying scholarship and bursary through school and Durham University, where he read engineering. On leaving university, Nick joined the highly respected, pioneering derivatives trading firm, O’Connor and Associates. He enjoyed a successful 22 year career in investment banking. In his last two posts he was Head of European Client Trading and Execution at UBS and a member of the UBS Investment Bank Board before becoming Global Head of Equities at Religare Capital Markets in Singapore. He retired from Banking in 2012 to spend more time with his young family and to manage his portfolio of personal investments. Toby joined MNG Maritime in Sep 2017, taking on the new role of Director Business Development and Special Projects. He spent 27 years as an officer in the Royal Marines, reaching the rank of Colonel, where he served in Northern Ireland, Bosnia, Kosovo, Sierra Leonne, Iraq, Afghanistan and the Antarctic. He specialised as a Landing Craft Officer, responsible for amphibious operations, including commanding the UK’s raiding squadron, 539 Assault Squadron Royal Marines. 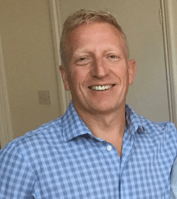 On leaving the Corps in 2013 he spent 4 years working at BMT as the Head of Business Development (Amphibious) where he secured a key contract with the US Army for their new and pioneering Fast Landing Craft. Jess joined MNG Maritime in June 2014, initially as an Operations Assistant and has progressed through Ops Manager to Operations Director in the four years since. Originally from Portsmouth, Jess graduated from Kingston University and started her career in the customer service department of LOVEFiLM (subsequently Amazon Prime), progressing to a significant leadership role supporting over 50 staff members. After joining MNG Maritime, Jess steadily adopted ever increasing responsibility, both in breadth and depth, to her current position where she oversees all aspects of MNG operations, including HR, logistics, transfer operations, bunkering, ISO compliance and licensing, and over 100 deployed staff. She is always the first port of call for our increasing client base and manages her capable team of responsive ops staff, who are the MNG interface with our clients’ opposite numbers. The MNG Operations Team, based in Fulham, London, are the glue that fixes all the different working parts together. They provide a 24/7 response service to clients and our field teams alike. As well as booking tasks, and monitoring and supporting operations afloat and onshore, the team coordinates personnel deployment and recovery (including visas, flights and customs clearances) and sustainment ops (fuel, water, equipment and food). These management functions are assisted by MNG’s bespoke and powerful asset tracking software, SEAVIEW and 1CLEARVIEW. We recruit from the PMSC contractor pool of experienced ex-military maritime security officers (MSOs). Although the most vital function that they perform is the security of the high-value vessel, all of our staff are especially selected for their ability to work with clients and the delivery of high levels of customer service.